This restaurant serves generous portions for their teishoku, lunch and dinner sets. I had hirekatsu, rice, pickles, cabbage salad, and hijiki salad for lunch. I couldn't finish it, so the staff offered me a take out package. To follow our meal, the staff gave us coffee and pudding. 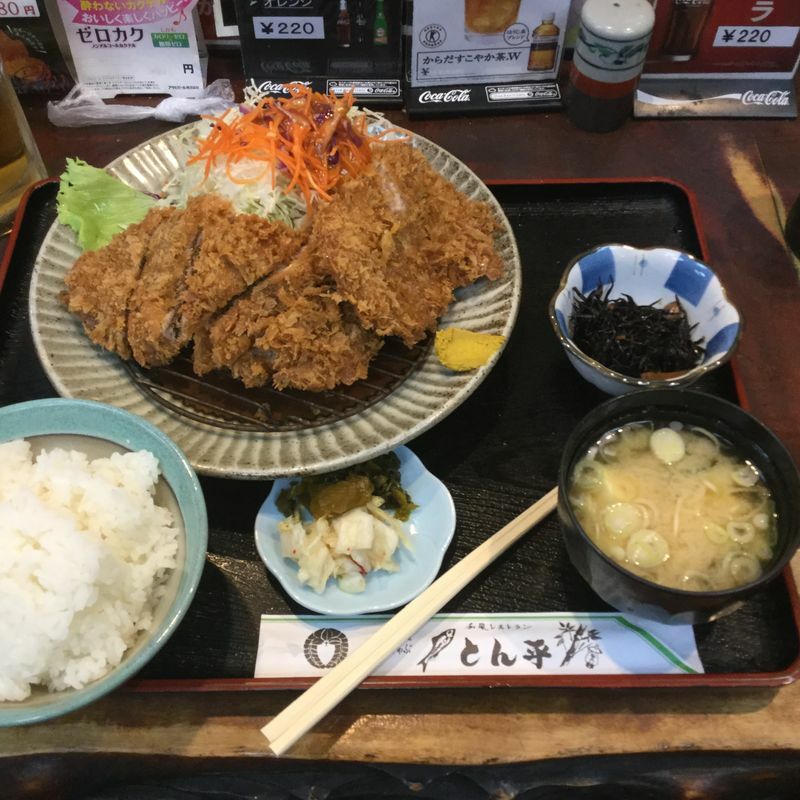 The people that run it are big hearted and really know how to serve hearty meals with perfectly crisp katsu. The place looks small with a tiny counter and zashiki, low table seating at the front, but there is more space at the back. Besides excellent tonkatsu, they also serve shabu shabu on the dinner menu. HOW TO GET THERE: Tonbei とん平 is about a 5 minute walk from Atago Station. Walk west towards Atago Shrine. Cross south at the pedestrian crossing. Tonbei is the shop with the red awning in the side street.